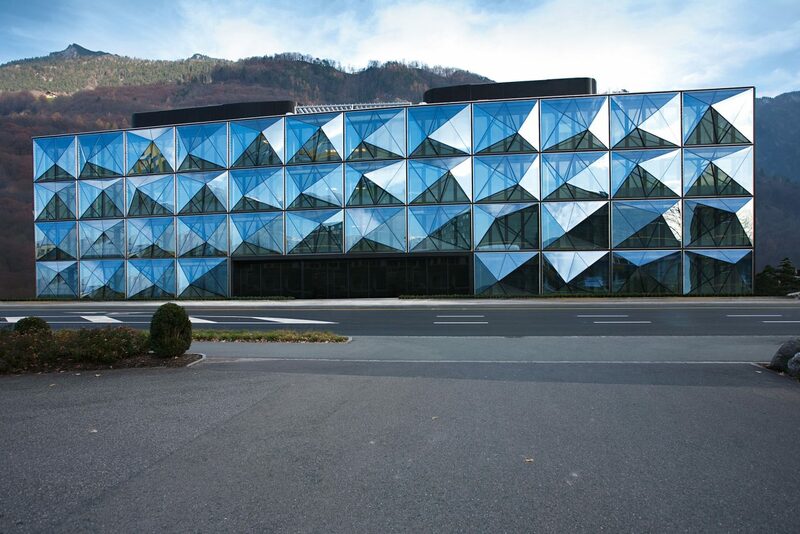 The new Renag AG building is a sleek, extended, rectangular cube. 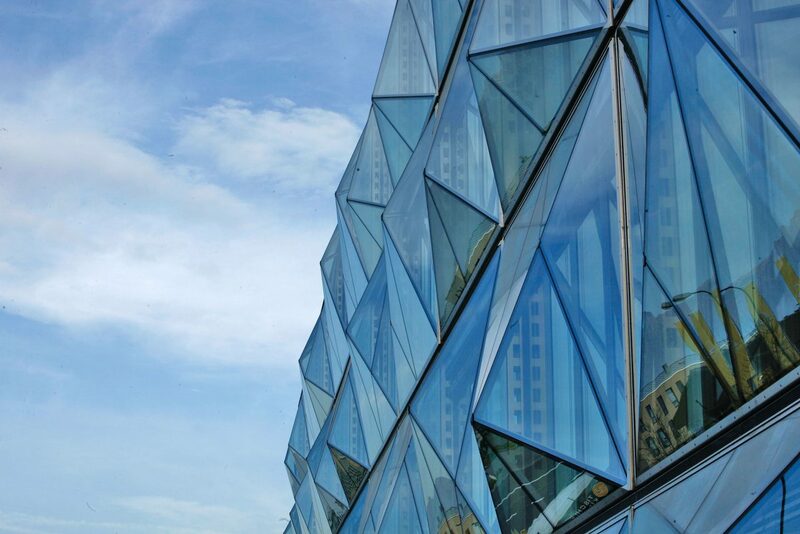 The finesse lies in the design of the facade, designed as an energy-efficient double-skin facade. 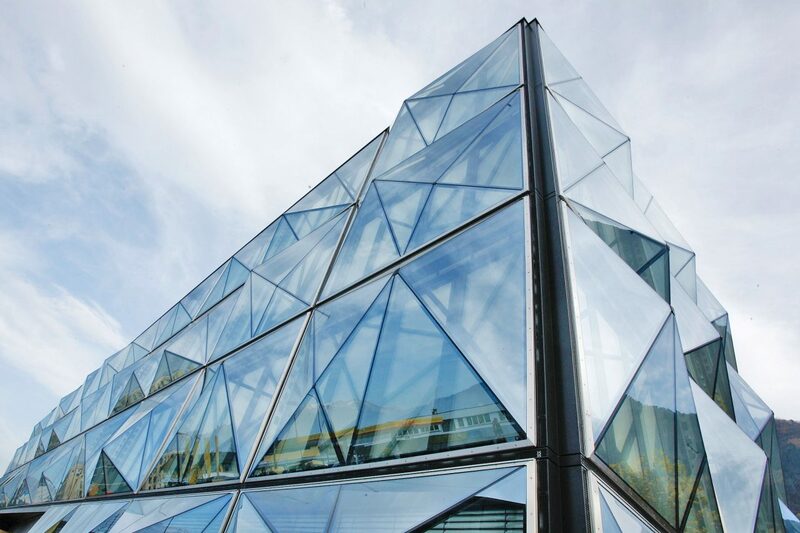 The facade elements are generally 15,5 feet x 12 feet in size, fitted internally with triple insulating glazing and externally with single glazing. 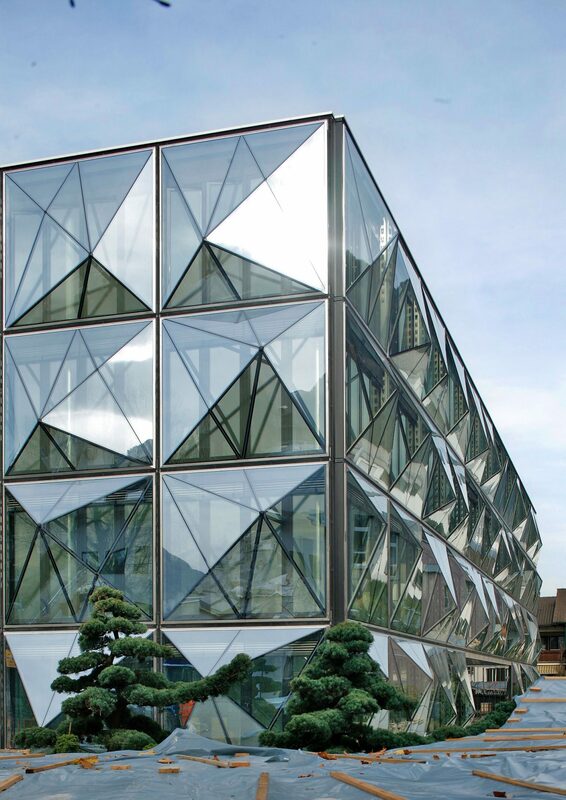 The space between the facades is ventilated via openings arranged to the sides and top. However, its particular charm lies in the design of the outer shell. The supporting construction of the asymmetrical pyramids comprises sharp-edged stainless steel T-profiles. 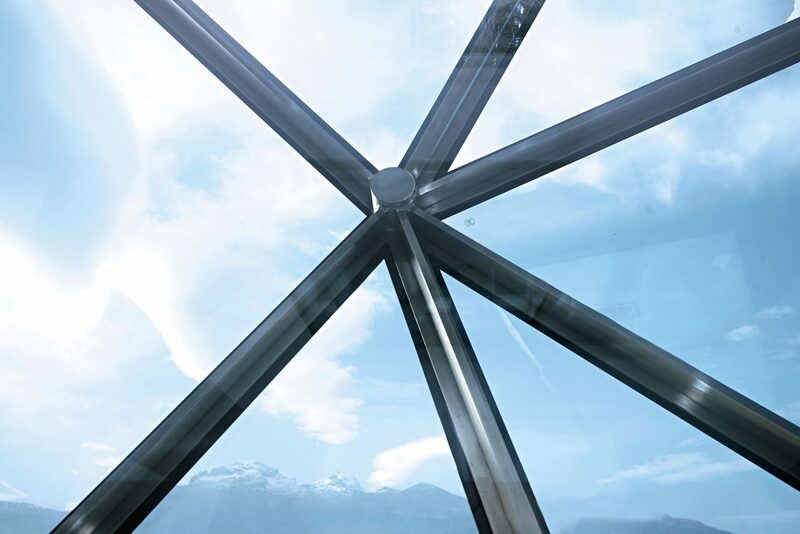 The glazing is bonded to this supporting structure using additional mechanical anchors at the node points and on the outer frame.